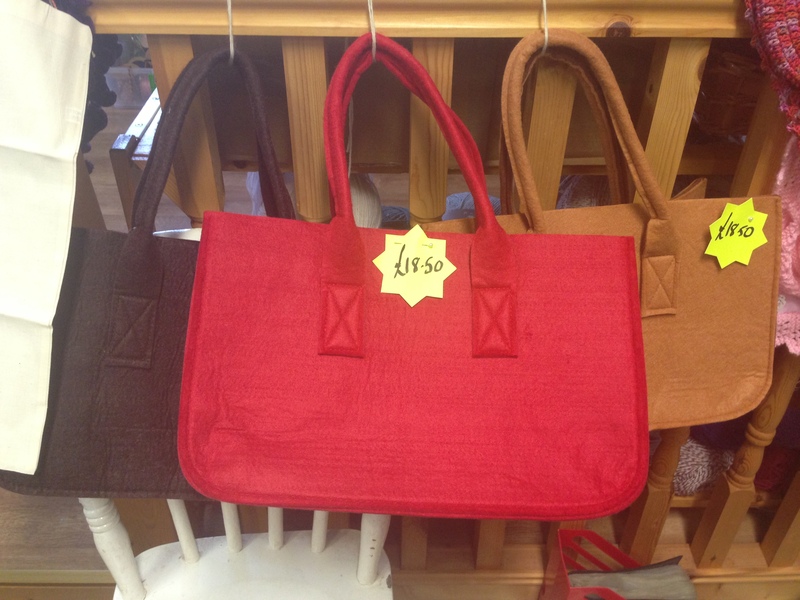 I have in stock some beautiful felt bags, ideal for keeping all your craft projects together. At the moment I have them in red, tan and chocolate brown. They are £18.50 each and are perfect for personalizing with hand made felted flowers, embroidery or whatever takes your fancy. Let your imagination run wild. They will go under a sewing machine with care so you could applique, or you could just leave them plain. I love them and will be getting more colours in soon so watch this space. Take one along to your knitting/craft group and let everyone admire your handiwork. I am sure you are enjoying the good weather and spending lots of time outdoors. But for some people it is actually TOO hot and I am sure those people would like something to do indoors that is not too strenuous, and I think I have the perfect project for you. Remember the odds and ends blanket? Well this is the odds and ends cardigan. I chose a plain DK cardigan pattern and made up the stripes as I knitted the back, then followed this same sequence for the front and sleeves. When I ran out of a colour I just omitted it and I think the result is rather striking. 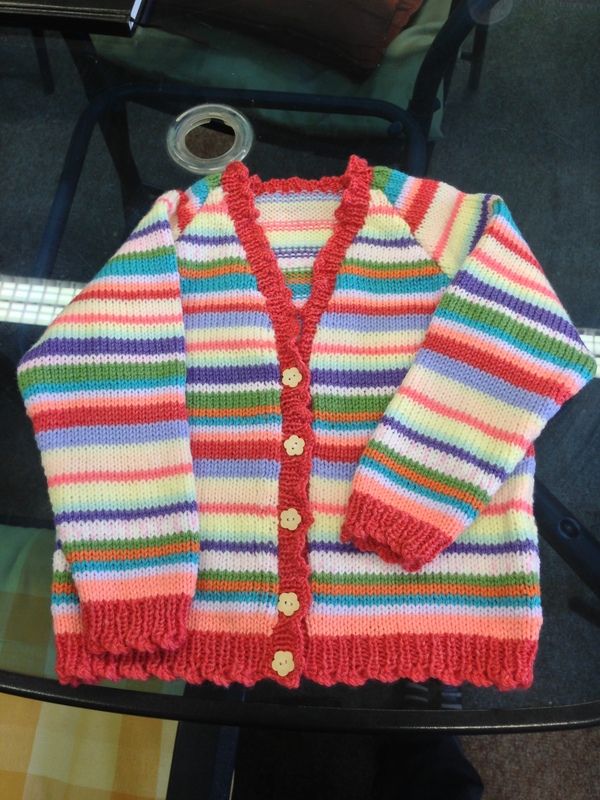 It is age 3-4, and all Double Knitting yarn. I chose to do a wavy edge but if it was for a boy you could do a plain edge and maybe choose a blue colour for your main. 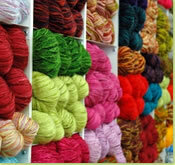 If you have remnants of Aran weight or chunky then just choose a plain pattern in the correct wool weight. My youngest customer left the shop on Friday a very happy person indeed. 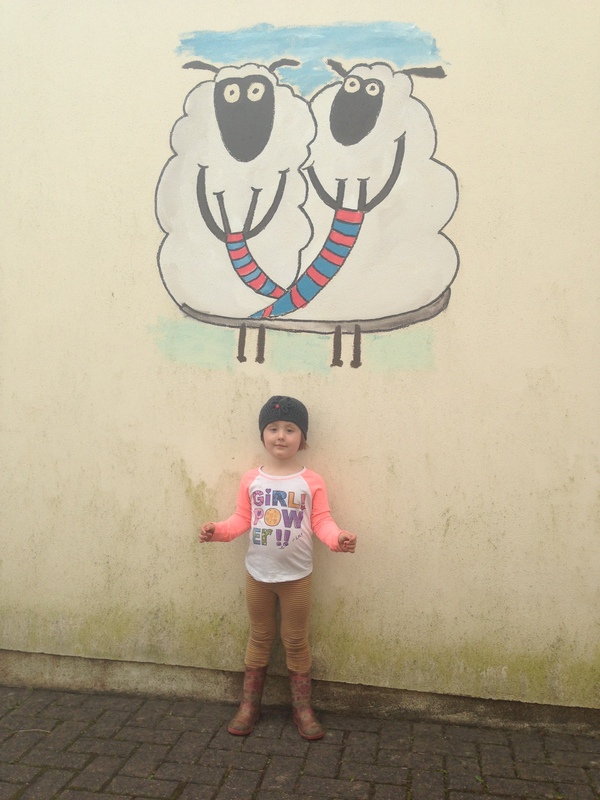 Even though the weather is far too good for wooly hats there was no way this one was leaving her head this side of bedtime!! 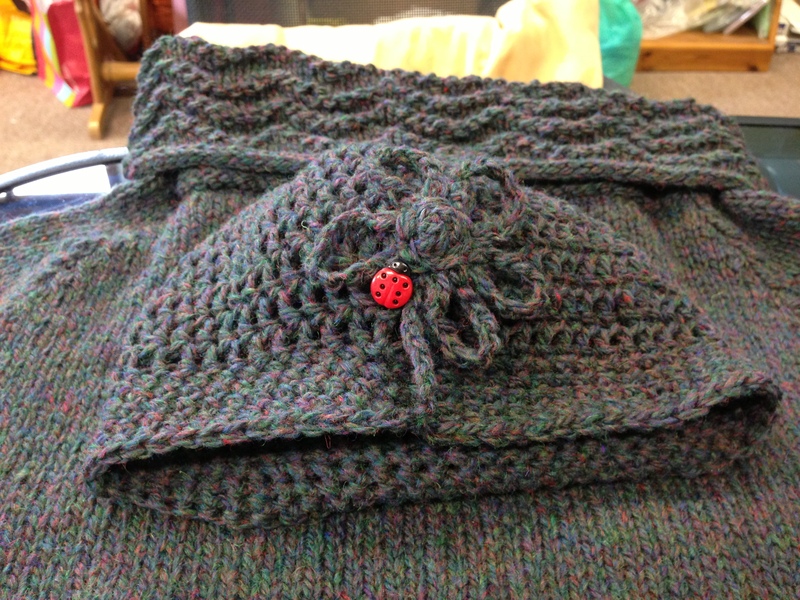 I knit mum a pure shetland wool jumper and with the leftovers I crocheted a beanie hat for her daughter and put a flower on with a ladybird button. It is very cute and a very simple pattern. The flower and ladybird finish it off beautifully. Make someone happy with a little love and a hand knit. I am please to announce that during the month of August I WILL be open as normal and to top that I am offering Euro for pound every weekend in August! Can you believe it 1 Euro = 1 pound every Friday and Saturday during the month of August. This sunshine is making me Crazy so make the most of it and get along to Grandma’s Attic and snap up a bargain! !